Instagram can be a noisy place. Scratch that—the world can be a noisy place, especially if you’re city dwellers like us. It can be hard to find those much-needed moments of quiet when you’re being bombarded by social media, news, emails—and let’s not forget—people 24/7. Most of these things are, unfortunately, out of our control, but when it comes to Instagram (unless you want to quit it altogether—which we would have complete sympathy for), we’ve recently rediscovered the joys of the minimalist fashion influencer. Acting as a sort of Marie Kondo for our Instagram feed, these individuals have eschewed stereotypes of the peacocking blogger and instead embraced the appeal of basics and style in its most simple forms. With our resolution to buy less but buy better, these are the women we are looking to for inspiration in 2019. 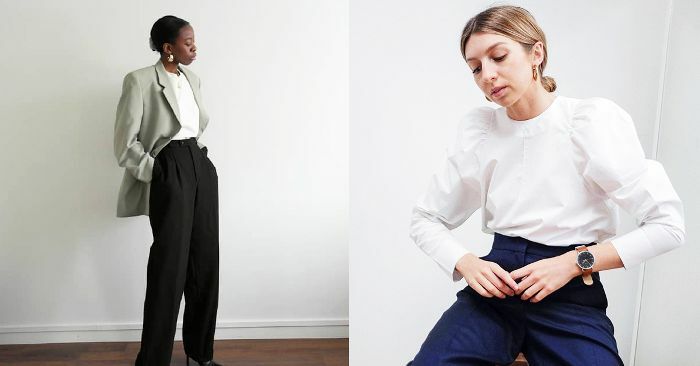 It’s all about finding beauty in those pieces that can’t be pinned down to a certain year or season—be it a power suit, classic trench or perfect pair of tailored trousers. So if you’re looking for a little chicken soup for your style (yes it’s a thing), scroll down to see our roundup of the 10 minimalist fashion bloggers to follow now.